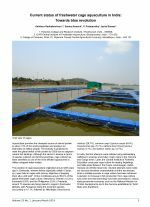 Current status of freshwater cage aquaculture in India. 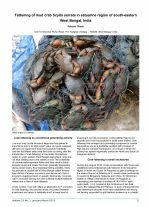 Fattening of mud crab Scylla serrata in estuarine region of south-eastern West Bengal. 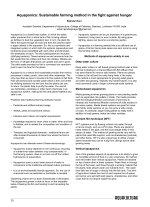 Aquaponics: Sustainable farming method in the right against hunger. 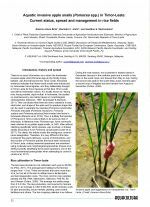 Aquatic invasive apple snails (Pomacea spp.) 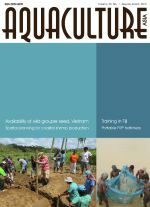 in Timor-Leste: Current status, spread and management in rice fields.